Professor of Economic Analysis of Law (Catanzaro) and also teaches Cultural Economics (Bologna). He lectures in the most important postgraduate courses in Cultural Economics and Management. Michele has extensively published on issues related to economics and policy of the arts and culture, fiscal federalism, economic analysis of the electoral market. Michele is member of the Scientific Committees of the Master “Arts and Culture Skills for Management (LUISS Business School, Roma), of the International Master “Cultural Projects for Development” (UN-ILO, Torino), and of the AGIS-ATER project aimed at training public officers active in the Italian local cultural administration. 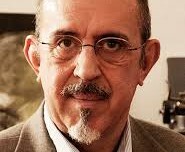 He has directed the Master “Arts and Heritage Management” (LUISS Business School, Roma), the international course “Mediteatri.pa” (FORMEZ, Roma, 2006) on management of ancient theatres in the Mediterranean Basin, and the course “Communication of the Heritage” (UNESCO-IULM-ECCOM, 2007-2008) aimed at training public officers active in the state cultural administration of the Balkan Countries. Michele is member of the Scientific Committees of the Siena Museums Foundation, Euclid International, Planet Life Economy Foundation, Anuario Ininco (Venezuela), IULM University Foundation, Centre for the Analysis of Public Policy in Modena, Scientific and Technologic Park of the Crotone Province, Institute for Competitivity, Cultural District of the Gonzaga Palaces in Mantova, State Museum “Omero” in Ancona, Politeama Foundation in Catanzaro, Silvia Santagata Research Centre in Torino. He is President of the International Scientific Committee of the “ArtePrima” association, promoting contemporary art for the socially excluded. He has been member of the executive board of the Italian Association for Cultural Economics (1997-2009), of the Association for Cultural Economics International (2001-2006), of the editorial board of the Italian journal “Economia della cultura” (1998-2009). He has served in the Commission for international loans of artworks (Ministry for Culture, 2006), in the Commission for reporting on Creativity and Cultural Industry in Italy (Ministry for Culture, 2007-2008), and in the Commission for evaluating the Management Plans of the Italian Unesco sites (Ministry for Culture, 2008-2009). Michele has been member of the International Jury of the “New Signs” award (2003), of the Business and Culture award (2007), and of the Commissions for the selection of the Director of the Siena Museums Foundation, and of the Muses’ Theatre Foundation in Ancona. He has been the scientific co-ordinator of the research team on Creativity in the Lombardia Region (2008), and he has been member of the Commission for the Future of Roma (2009). He has been President of the Public Theatre of Abruzzo (2008-2009). He has been economic consultant for the Emilia-Romagna Region (introduction of new criteria for funding the arts, based upon performance indicators), the Basilicata Region (draft of new regulations on the performing arts), the Nework of Regional Secretaries for Culture (elaboration of criteria for the interjurisdictional transfer of funds), the Bolzano Municipality (draft of the management plan of the new Municipal Theatre, and comparative evaluation of the location of the Museion-Contemporary Art Museum), the Genova Municipality (draft of the management plan for the inclusion of the Rolli Palaces in the Unesco World Heritage List), with the Catanzaro Province (organisational structure of the Scolacium archaeological park), with the Sicilian Region (communication plan of the Contemporary Art Museum-Palazzo Belmonte Riso). Michele is economic expert within the Regional Observatory for the Performing Arts in Emilia-Romagna. He is partner of ECCOM, being President of Eccom Progetti, its for-profit branch active in the field of cultural projects and plans. He is partner and member of the executive board of Art Mall, a newco active in the field of digital culture. He is a member of the executive board of ICR-ICOM (Unesco), of the editorial advisory board of the Creative Industries Journal (Intellect, Liverpool), of the Scientific Committee of Tafter Journal. He regularly writes on the economics of the arts, cultural policy, opera for magazines and websites.